The concrete supports of one of the platforms are still in position and can be seen beside the track on the west side of High Rocks Lane bridge, nothing else of the original High Rocks Halt survives. A new High Rocks Halt has been built by the owner of the High Rocks Inn and Restaurant to serve the Spa Valley Railway. This is sited some distance to the west of the original up platform, below the High Rocks Inn. Notes: To save operating costs a number of new halts were opened in East Sussex from 1906 with the introduction of single carriage railmotors fitted with mechanically worked controls to enable them to be hauled or propelled by small tank locomotives. These halts were served only by the railmotors; one of these was at High Rocks between Tunbridge Wells and Groombridge. 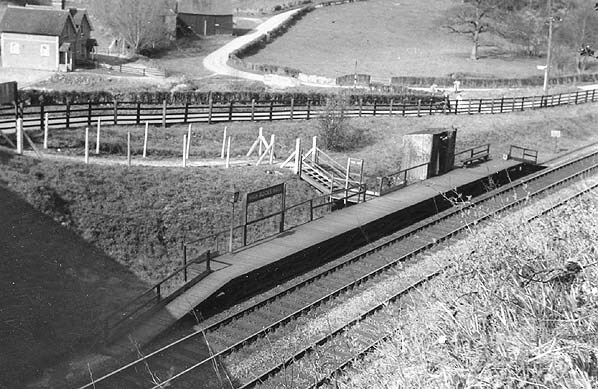 The two short timber platforms were staggered, the down platform was on the east side of High Rocks Lane with the up platform in a deep cutting on the west side of the road. There was no ticket officers and passengers paid on the train; originally there were no waiting shelters but these were added later. 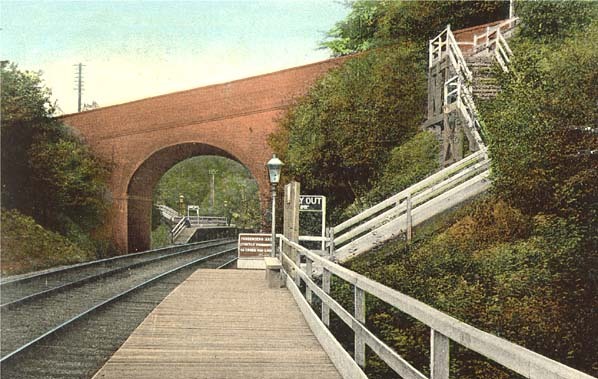 The extension to Tunbridge Wells was opened on 1st October 1866, nearly two years before the, line from Uckfield was ready; it was single throughout except for a resited East Grinstead Station and at Groombridge. There were three intermediate stations at Forest Row, Hartfield and Withyham. both passenger and freight service were in decline and BR was considering the possible closure of the line between Three Bridges and Ashurst Junction in 1951 with passenger numbers at Hartfield in 1949 being only a quarter of those carried in 1923. 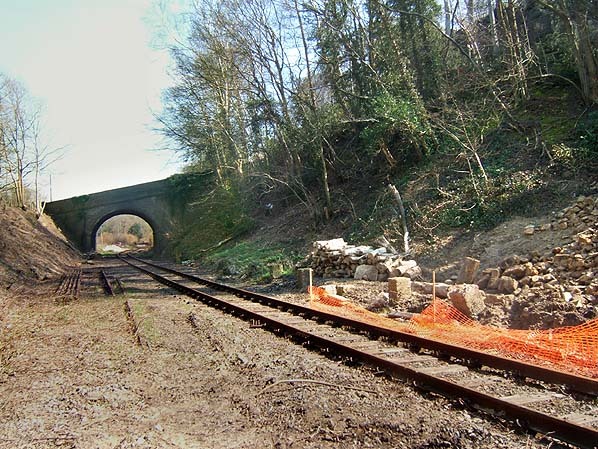 The site of High Rocks Halt in March 2007 taken from a similar viewpoint as the first picture above. Vegetation has recently been cleared to reveal the concrete supports for the platform.